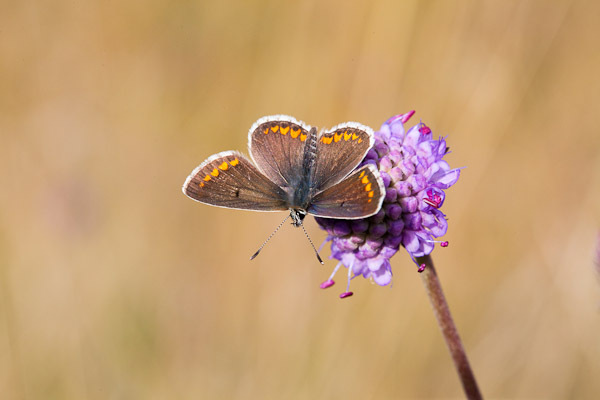 This weekend I was back out on some of the Wiltshire Downs to see what changes had occurred in the butterfly populations at several sites I’ve visited every few weeks over the season - and I wasn’t disappointed by what I found. Having missed the early generation of Adonis Blues this year (May) I was delighted to find a healthy population at one location. 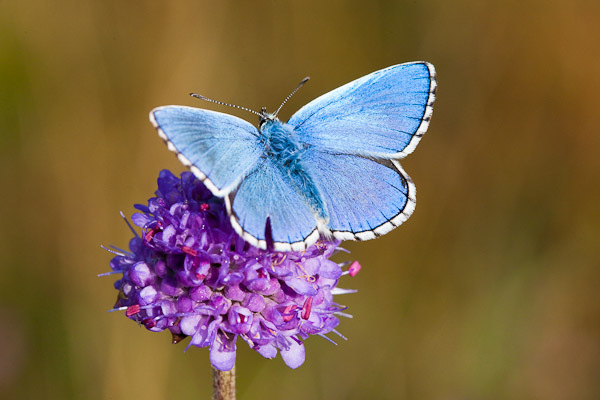 Having arrived early (6.30am) the butterflies were still dormant and I spent an hour or so doing rough counts of species and trying to ID the blues, which with their wings closed are not all that easy to distinguish. With the first rays of warm sunlight, however, an amazing spectacle unfolded as I was surrounded by dazzling male Adonis Blues all with wings fully spread to soak up the sunlight. The colour is breath taking and, sadly, not done any justice by a camera sensor. Argus Browns were still in good numbers, although many are looking a bit worn now. Often grouped together on flower heads they were flirting like mad with one another - a constant fluttering of wings and jostling for position when a female was nearby. This one was taking a break from the melee and found a devil’s-bit scabious flower to call its own for a while. 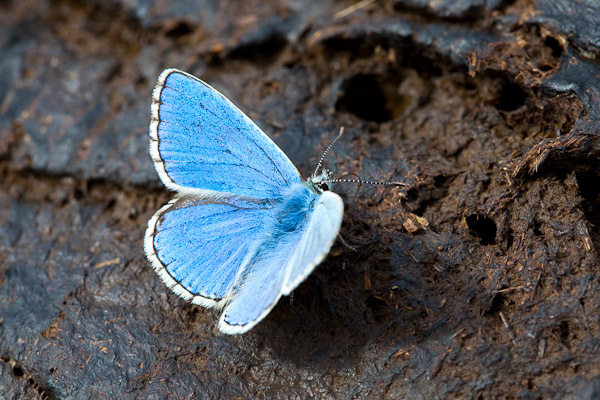 I found several Adonis blues coupling but single males were far more obvious in number than females on the whole. Hopefully, the females were off laying lots of eggs whilst the males sun bathed, fed and indulged in other, slightly less savory pursuits…..
Mud puddling…. quite a few butterfly species do this but some more than others (Purple Emperors spring to mind). I found quite a large number of male Adonis blues feeding on cow dung this weekend. Apparently poo is a good source of nutrients, such as various salts and amino acids. Personally, I prefer a packet of crisps and a sandwich. 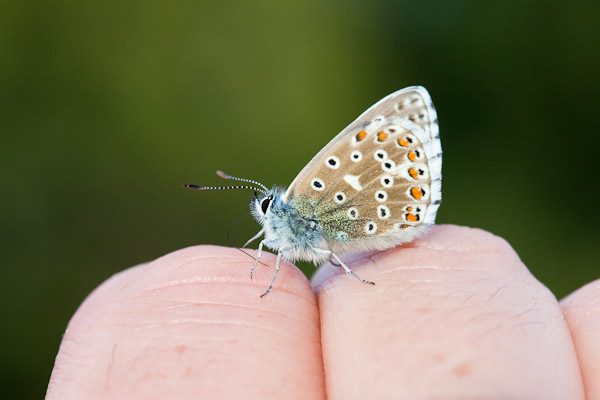 This charming little fella (again, an Adonis blue) took a shine to me and kept landing on my hand. In the absence of any poo in the vicinity I think I was seen as the next best thing - charming!